Usually held in May each year with a different host club & at a different location within Australia. 2008 Adelaide. Australian Plants as Bonsai Study Group was formed in mid 2001. 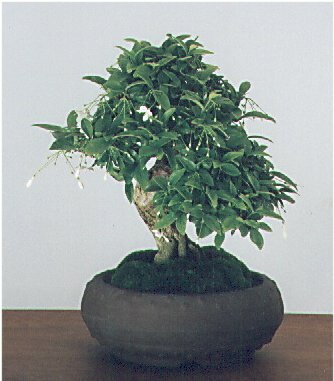 Its main aims are to: Determine which species are grown as bonsai, Determine the horticultural characteristics of each species, Determine the horticultural requirements of each species, Explore the artistic and aesthetic qualities of species, and Publish information to help people grow and enjoy Australian plants as bonsai. The Group operates by gathering and sharing information amongst members. Everyone who grows has grown or wants to grow Australian plants as bonsai can contribute. 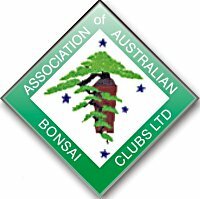 The AABC Ltd is one of Australia’s two national Bonsai associations, and accepts as members, individual bonsai clubs from around Australia, provided they have unrestricted membership. Current membership stands at 47 clubs throughout the country. The AABC Ltd is a vehicle for the promotion of Bonsai within the Australian Bonsai community, for the sharing of ideas and techniques, and support its member Clubs. The BFA is the other national Bonsai association and is split into two chapters, North (NSW, ACT, Qld, NT) and South (Vic, SA, WA, Tas). Its aims are to promote the education of Bonsai, provide cohesion and co-operation between Bonsai clubs, assist with the establishment of new clubs, promote Bonsai speakers, and increase public awareness and interest in Bonsai. In 1995 the BFA staged the BCI International Convention in Sydney. Although Suiseki is apreciated by many people throughout Australia there is only 1 national club - Suiseki Australia which usually meets 3rd Wednesday evening of each month at 7.30pm at the Don Moore Centre North Rocks Rd. North Rocks, N.S.W. Unfortunately a number of Bonsai are stolen from enthusiasts each year, have you seen any of these Stolen Bonsai. This site has all the information and contacts you need if you want to bring into Australia any seeds, plant material or complete Bonsai trees. Plant hardiness maps allow producers to label their plants as being suitable for particular areas, and, in theory at least, this results in happy customers who can confidently buy plants that will survive in their locality.